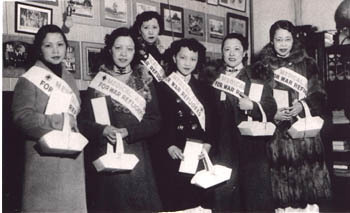 Part of the exibition " But Women did Come:150 Years of Chinese Women in North America"
The 1940s ushered in a new era for Chinese Canadians. 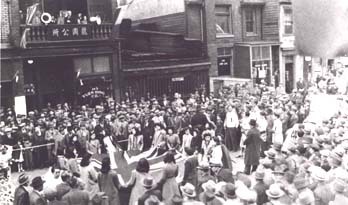 Although they were prohibited from enlisting in the Canadian Armed Forces until1944, Chinese Canadians across the country raised millions of dollars for the war effort by selling bonds, holding fund-raising events and mortgaging their buildings. 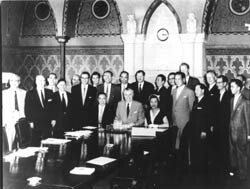 In 1947, Ottawa agreed to repeal the "Exclusion Act", and granted Chinese Canadians the right to vote. 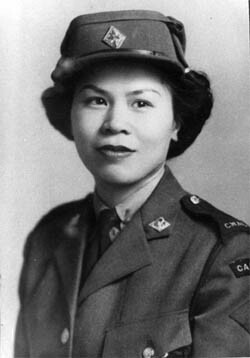 But it was not until 1957, after years of lobbying, that the Canadian government allowed Chinese families to be reunited in Canada. 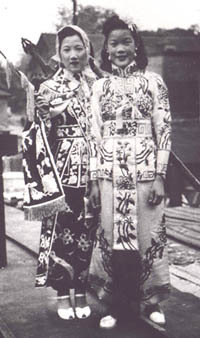 By the 1960s, Chinese Canadians were finally able to enjoy a complete family life. Work ad educational opportunities that were previously closed, gradually opened.